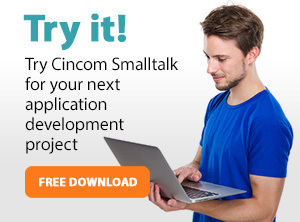 Thank you for your interest in the Cincom Smalltalk™ Partner Program Program. The Cincom Smalltalk Team will gather the information you provide below and create a user story that can be used to market your applications or services. In addition, this user story will be posted here, to the Cincom Smalltalk website, which will give you even more exposure.